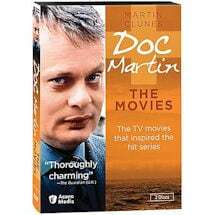 Fatherhood hasn't softened the dour Dr. Martin Ellingham (Martin Clunes, Men Behaving Badly). He's about to take a new position in London when events conspire to keep him in Portwenn. His infant son with Louisa (Caroline Catz, Murder in Suburbia) needs a name, his replacement doesn't seem up to the job, and he receives devastating news. 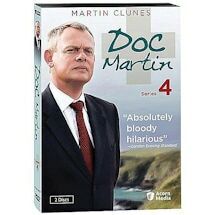 Like it or not, he's stuck in the scenic Cornish village with its quirky inhabitants-most of whom have grudgingly grown rather fond of the grumpy doctor. 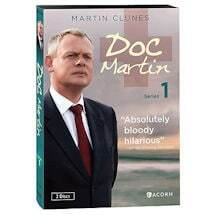 Although Martin has largely mastered his fear of blood, he still has no clue how to manage his life. Should he marry Louisa? Can he be a good father? Will he bring his new family to London? How can he cope with sleepless nights, an aunt with issues, a flaky new receptionist, Louisa's hippie mother, and the usual village dramas? This season, Emmy®-winner Eileen Atkins (Cranford) joins the cast of the award-winning British drama. 8 episodes, approx. 367 min. 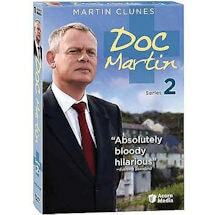 on 2 DVDs. 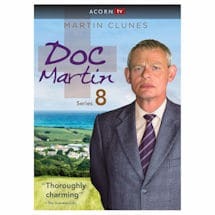 Doc Martin's return to London is delayed by the birth of his son, the arrival of an incompetent replacement at his Portwenn practice, and the sad news of a sudden death. He temporarily moves in with Louisa and their still unnamed baby. Martin agrees to stay on until a more suitable substitute is found. He moves back into his house and persuades Louisa to join him so he can help raise their child. Martin's aunt Ruth arrives in Portwenn for a funeral. She's almost as cranky as her nephew. A wailing baby and sleepless nights leave Martin and Louisa with frayed nerves. New receptionist Morwenna makes a bad first impression on the doctor. Aunt Ruth deals with an intruder and a reclusive neighbor with a mysterious illness. The first annual Portwenn charity fun run leads to a rivalry between Bert Large's restaurant and a local pub. Louisa's mother, Eleanor, shows up unannounced, and while Louisa isn't happy to see her, the baby starts sleeping more soundly under Eleanor's care. PC Penhale has an unexpected visitor: his ex-wife Maggie, who exhibits strange symptoms. 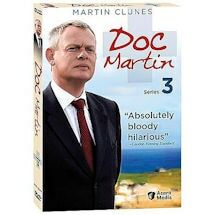 Louisa learns her mother's real reason for returning to Portwenn, and she and Martin finally choose a name for their baby. PC Penhale takes desperate measures to convince Maggie to stay in Portwenn. When Aunt Ruth discovers old family photos, Martin is reminded of his unhappy childhood. 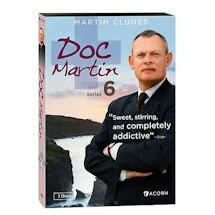 Martin and Louisa can't seem to agree on anything, and tensions reach a breaking point. Threatened by loan sharks, Bert Large can't afford to host a charity event for a cat sanctuary. PC Penhale intervenes, and Eleanor comes up with a way to bring more customers to Bert's restaurant. 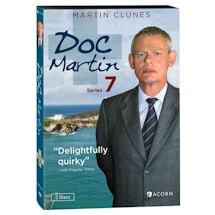 Meanwhile, Martin makes plans to leave Portwenn in a week. Unaware of her feelings for him, Martin asks Mrs. Tishell, the pharmacist, to babysit James Henry for the day. Fueled by a cocktail of self-prescribed drugs, she takes the baby and disappears. 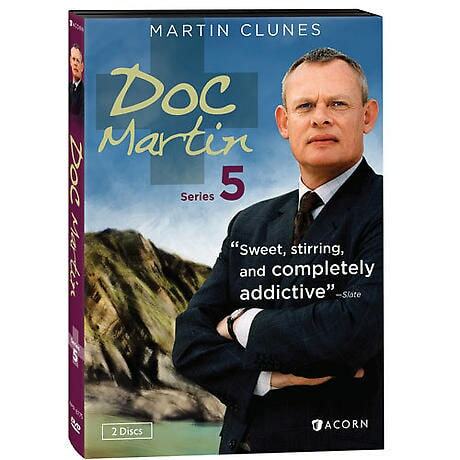 Martin, Louisa, Aunt Ruth, and PC Penhale pursue them to a castle high on a cliff.